For those interested in migrating to Canada, it would be interesting to know that the Immigration authorities of Canada are thinking of introducing legislation that would help in reducing the backlog of pending immigration applications. Efforts are on to bring the required changes by the Canadian federal government. It is understood that deals have already been made with about 8 territories as well as provinces to resolve the backlog of applications of Federal Skilled Worker (FSW) to “move” the qualified applicants who would like to take keen interest in the Provincial Nominee Programs (PNPs) in these 8 provinces and territories. No doubt, the applicants have to follow different criteria set up by each respective province, which can be much different from the “original qualifying criteria” of these FSW applications. 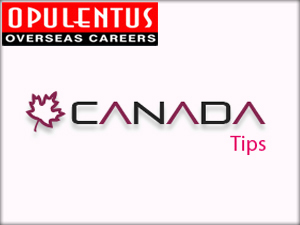 This new policy of the Canadian immigration authorities would definitely make skilled workers who are trying to migrate very happy. So far backlog in clearance of skilled workers applicants has made it difficult for their migration to Canada. The move to sort out immigration procedures of skilled workers is to adhere to an “expressionist system” which means that the applicants agree to have their application screened by businesses as well as provinces in order to know who is required where. The idea is to find a rather quicker and effective procedure to reduce the backlog of skilled immigration workers. Whatever steps the Canada immigration authorities decide to take up, what is important is that the migration of skilled workers to Canada must be easier. It should lead to convenient procedures which would make it easy to identify a skilled worker for particular businesses in a respective province. Skilled workers are usually taken on based upon their work experience, education and their language abilities which include knowing English as well as French. No doubt, the rules pertaining to immigration of skilled workers does change from time to time. Judging by reports released by Canadian Citizenship and Immigration authorities, the number of new migrants to Canada has been on the increase off late and that includes that of skilled workers well. Current yearly skilled worker applicants have been to the tune of 10,000 fresh applications, maintaining a limit of 500 per occupation. The present selection procedure is based on point system. The skilled workers have to attain 67 points out of 100 in order to be eligible in order for them to qualify for the Federal Skilled Worker Program. The Citizenship and Immigration Canada (CIC) is planning to increase the number of points in three categories, language, and age as well as work experience. In the proposed change in the arena of language the first official Canadian language (English or French) to about 20 points, 4 points more than the present 16 points. In fact, CIC is planning to have minimum language criteria for occupation based skilled workers. Professional skilled workers would require a higher minimum. As far as age is considered the number of points is to be increased from 10 to 12 points. Rather than the increased points been awarded until 49 years the cut off age is likely to be around 35 years. Other proposed changes are the number of educated years is likely to be reduced in the case of trade or non-university education. CIC is also thinking that the professionals must prove their credentials in case their profession is regulated. Thus it is quite evident many changes are in the offing as far as migration of skilled labors is concerned.